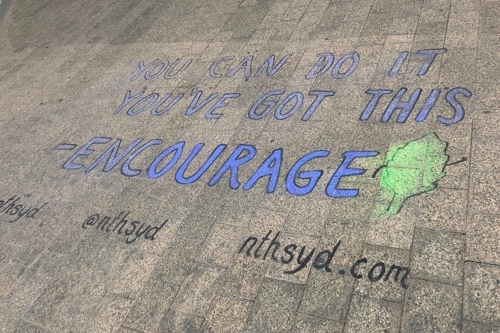 Our local council have been drawing these dad joke memes everywhere around North Sydney. The one above was taken at the corner of Miller Street and the Pacific Highway, near that giant blue gem. There’s enough cynicism in the world, I thought this was delightful!